With its striking Italianate good looks, this appealing coach-built coupe could only be a Maserati, OSCA or Ferrari. Right? Wrong! It is in fact a Jaguar, one of only three built by Zagato with similar bodies on the chassis of the XK140 and XK150. This example will be displayed for the first time in the UK at this year’s Concours of Elegance at Hampton Court Palace (5-7 September). 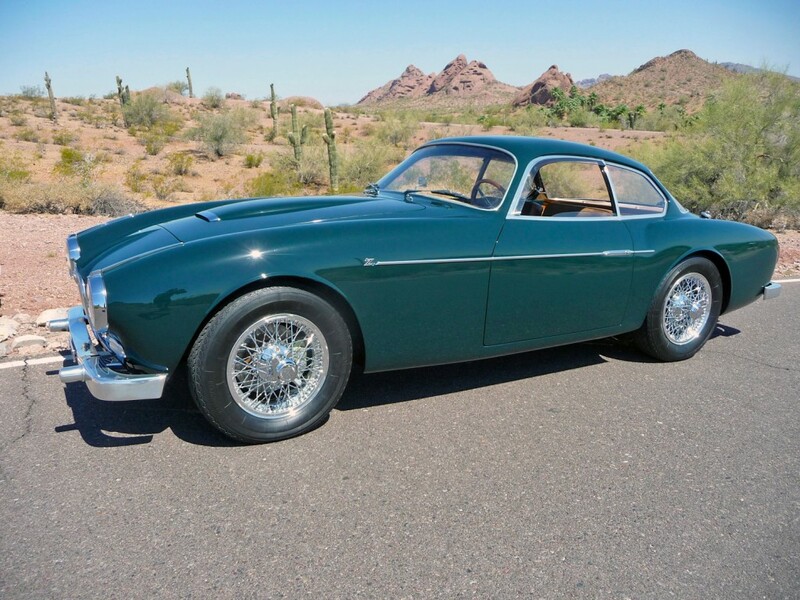 It began its life as a regular Jaguar XK140, destined for the Italian market. Its owner – Italian dealer Guido Modiano – damaged his XK140 in a small accident when the Jaguar was still quite new. Being a personal friend of the Zagato family, he inquired about the famous Milanese coachbuilder simply rebodying the car rather than repairing it. A deal was struck, as Zagato hoped it could sell Jaguar on the idea of a limited run of similar cars. Jaguar indeed showed this finished car on its own stand at the 1957 Paris Salon, but only two more examples were built, both of them on the later XK150 chassis, with a marginally wider body. The first of these was displayed at the 1958 Geneva Motor Show, with Zagato even producing a brochure for the model, indicating that it seriously intended to produce this car more than once. It didn’t happen though, with the third (and final) Zagato Jaguar XK was displayed in 1960 with a different radiator grille.